CORK TEENAGER CAOIMHIN Kelleher has been included in Liverpool’s squad for Tuesday’s Champions League fixture away to Red Star Belgrade. 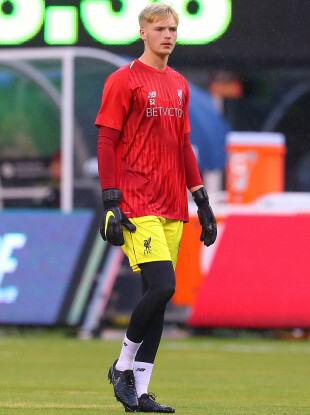 The 19-year-old has featured in a number of friendlies for the Reds, but the former Ringmahon Rangers stopper is yet to make his competitive debut at senior level. Having signed a new deal with the Merseyside club in August, Kelleher also trained with the Republic of Ireland’s senior squad after their Nations League defeat to Wales in September. Meanwhile, Liverpool midfielder Xherdan Shaqiri has been left out for the trip to Serbia with manager Jurgen Klopp explaining the club are keen to “avoid any distractions”. The 26-year-old was born in Kosovo, an ethnically Albanian province that fought a war of independence against Serbian-dominated Yugoslav forces in the late 1990s. The Serbian government refuses to recognise Kosovo’s independence. Shaqiri made headlines during the World Cup after celebrating his winner for Switzerland against Serbia by crossing his hands to imitate an eagle, which appears on Albania’s flag. “It’s a situation where we will go to the fantastic city of Belgrade as a football team to play football,” Klopp told Liverpool’s official website. “We have heard and read the speculation and talk about what kind of reception Shaq would receive and although we have no idea what would happen, we want to go there and be focused 100% on football and not have to think about anything else, that’s all. We are Liverpool, a big club, a football team but we don’t have any message further than that. We have no political message, absolutely not. We want the focus to be on a great game of football, free from anything else. Jordan Henderson will also remain in Liverpool to continue his recovery from a hamstring injury, while Naby Keita and Dejan Lovren have recovered from injuries and will travel with the squad. Liverpool are top of Group C with six points, ahead of Napoli and Paris Saint-Germain, who face off in the group’s other game. Email “Irish keeper called up to Liverpool squad for Belgrade trip but Shaqiri left out to avoid 'distractions'”. Feedback on “Irish keeper called up to Liverpool squad for Belgrade trip but Shaqiri left out to avoid 'distractions'”.